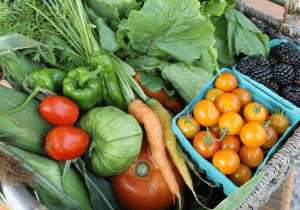 Have you been curious about our Produce Home Delivery Program? Introducing our Home Delivery Trial box for $20, filled with a beautiful selection of our local and organic produce. After the trial box, you will be automatically enrolled in home delivery of the Small Locavore Box. You have the option to change or cancel this option 48 hours before the next delivery date. See what’s in our Locavore boxes this week!